Are millennials really the worst generation? So what's the problem with millennials? Well if you believe what you read everyday then the answer to that would be everything! 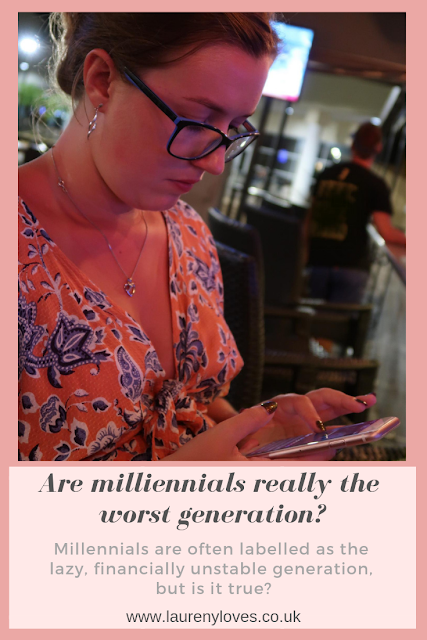 It's probably because I'm part of this generation that I seem to see a lot of complaints about millennials, which are very widely generalised and for me (and lots of others) completely wrong. We've some how been labelled the lazy, financially insecure generation. Basically we're the generation that financially rely on parents, live at home longer, can't save for the future and don't have a stable career. Hang on, what do you mean that doesn't sound like you?! Well fear not, it doesn't sound like me either. I'm slap bang in the middle of the millennial generation, I bought my own house at 24, gave my dad rent money whilst I still lived at home, I have a pension and I'd like to think I'm pretty financially savvy. In fact, I'm in charge of bills and finances in our house! Recently I was asked to be part of a campaign over on iThink Finance all about exposing millennial money stereotypes. It's a campaign I was super happy to lend my opinion to so it'd be great if you could check it out. So are millennials really the worst generation? No I don't think so, I just think our lives are so different to that of even our parents that previous generations can't keep up. So are millennials just lazy? In my opinion the idea that millennials are lazy, entitled and unambitious definitely stems from the difficulty that many find in getting on the property ladder as well as a complete shift in the types of careers people are making for themselves, jobs are available now that weren't even around 10 years ago and this is still hard for people, especially older generations, to wrap their heads around. People very often don't see all the hard works that goes into building your own career so it's very easy to dismiss people as being lazy. This shift towards less traditional roles and more self employment is way harder than actually working for someone else though. You basically have to be a jack-of-all-trades to make it work and that requires a lot of effort. Millennials are more in the mindset of creating a good life and great memories that are based on so much more than a career and a home now. We went experiences not things, we're settling down much later than what even our parents did which may come across as unambitious when really it's just what we want out of life has changed. Despire the general consensus being that we're the generation that expect our parent to keep us forever, I do think a lot of millennials are buying homes. A lot of factors come into play on this one though, location is a big one as well as career. Many homes are simply out a reach for a milleninal now and the prices certainly aren't designed to give anyone a chance to get on the property ladder. I bought my first home when I was 24, I'm 27 now and a massive factor in being able to do that was the location, I live in a small village in South Yorkshire where house prices are pretty reasonable. I also think a lot of millennials prefer to have more of a portfolio career now, we're seeing a massive increase in people working for themselves which can also make it harder for people to get on the property ladder. Assessments for mortgages etc certainly haven't moved on with this times and buying a house is still pretty much geared towards being easy for people with a more traditional job. I bought my house with my partner and at the time we both had standard jobs, my partner is now self employed and I do worry how easy it will be for us to secure another mortgage when we decide to move. I don't think it's a case of scrimping off parents I think its a case of people who really do want to buy and not just rent have to stay at home longer now even if they don't want to. There are definitely other priorities now rather than saving for retirement, we'll all have to work for much longer anyway so why not actually enjoy life while we can. There's more of a life is for living attitude now. I think millennials are much more interested in experiencing life while they're young rather than saving for old age and that's not necessarily a bad thing. I think many of us grew up with parents who were married, had a home and had children all by their mid twenties and who went to work (and continue to do so) day in and day out to build up that pension pot and that's just not the life we want. While there's nothing wrong with putting a little away for retirement, people want to experience life now, not when they're 70. Again it's just about a change in attitude that hasn't become the norm. It's so against what people have done for many generations now that a change is hard to accept. 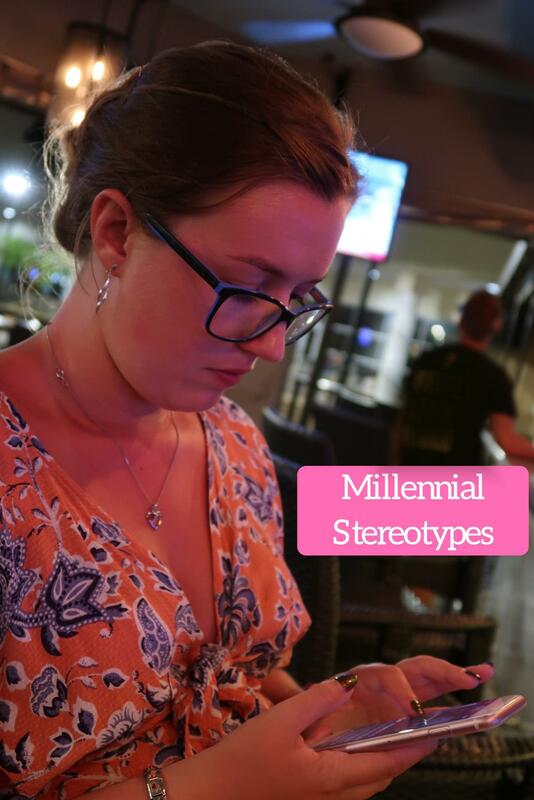 Basically what I'm trying to say is there is a massive widespread misconception about millennials and many of us are definitely bucking the stereotypes. The best way forward would be to accept the lives of millennials don't look the same as previous generations but the best course of action would be to recognise people for their achievements not for which generational stereotypes they do (or don't, in my case) fit into! Don't forget to check out iThink Finance for more of my thoughts on the subject.